Do device repairability scores and drop tests matter? Or are they just good for a voyeuristic cringe? You've seen the videos. A phone dangles precariously in someone's hands, a countdown begins. On "one," the phone plummets to Earth, accompanied by a "crack!" and, more often than not, a few actual cracks. These drop test videos can garner millions of views, and while they're fun to watch in a cringe-inducing way, do they serve an actual, helpful purpose? What about repairability scores in general? It's become de regular that mere days after most devices are announced, there's a tear-down revealing the innards and how easy (or hard) the parts are to put back together again. Do examinations into whether you can replace a phone's battery with or without a surgical tool have any bearing on consumers' purchasing decisions? There are plenty of tests, reviews and ratings coming from professional drop-testers (if they can be called that) and amateurs alike. We set out to discover whether consumers pay more than just a passing glance to repairability scores and drop tests and if there's more to watching devices meet an untimely end than meets the eye. Repairing or replacing a smartphone or tablet can be an expensive proposition, and a cheaper though less reliable route to take is self-repair. However, we don't live in an age where shop class is a high school requirement any more, so beyond a few handy folks are consumers repairing their devices themselves? iFixit.com is a well-regarded site that specializes in tearing down mobile devices and posting reviews and rates based on how easy the machines are to repair. It regularly reveals useful tidbits like the fact that among three of the hottest phones available right now - Apple's iPhone 5, Samsung's Galaxy S4, and the HTC One - the S4 is the easiest to repair yourself. Similarly, Square Trade, which offers third-party extended warranties for popular electronics, publishes "drop test" videos demonstrating the durability of various phones when dropped from specific heights. The information provided by sites like iFixit and services like Square Trade is meant to be used like tools by consumers to inform their purchasing decisions, and doubtless there are some that use them for exactly that - just as there are many who simply like to watch iPhones get dropped into swimming pools. Miroslav Djuric, iFixit's chief information architect, offered some semi-hard data to back up his assertion that consumers take iFixit repairability ratings into account when making purchases. In a recent survey of 13,000 iFixit community members, he told us that 93 percent responded that ease of repairs is an important factor in the hunt for a new device. Of course, that's exactly what iFixit community members would say, isn't it? But Djuric offered some anecdotal evidence as well. "We've heard from tons of people through social media that they're going to flat-out not purchase a phone or tablet because its battery cannot be swapped out, or the device was encased in glue and it can't be easily opened," he said. "The opposite is also true: Folks were quite pleased to hear that a particular device scored well, and is actually serviceable." What about Square Trade? 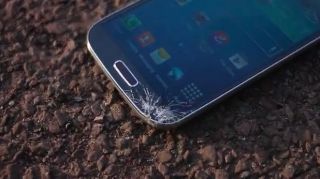 Could it offer any evidence that consumers watch its drop test videos for any reason other than the visceral joy of seeing a Samsung Galaxy S3 get smashed under a beer bottle? Ty Shay, Square Trade's chief marketing officer, told us that most people have at one time or another learned how expensive a broken phone can be to fix or replace. You can buy a phone from a carrier at a heavily subsidized price, but it will still cost $600 to repair, for example. Shay suggested that as more consumers experience that, word will continue to spread in casual ways that a damaged phone can be a major burden, and iFixit and Square Trade's efforts to educate them will become ever more relevant.